7 Days Surf Logde & Surf School - Figueira da Foz, Maiorca Guests overall rating: ★★★★★ 5 based on 4 reviews. 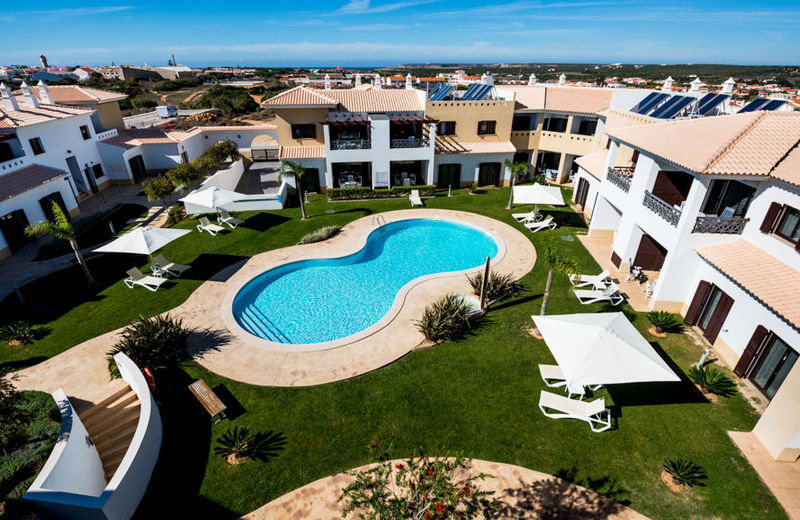 The 7 days Package of Surf Lodge & Surf school in Figueira da Foz is offered in the peaceful village of Maiorca. Located between Oporto (120 km) and Lisbon (196 km). Built from an old farm, the property combines the tranquility of the countryside with the comfort of a modern hotel. The Surf Lodge is only ten minutes away from Cabedelo Beach, that usually is a less crowded spot and famous for its exceptional conditions to practice surf at all levels. It’s kind of a secret paradise of surf in Portugal because still holds its natural beauty away from mass tourism. If you’ve never surfed here, you’ve been missing out… come and you will easily fall in love. Surf Lodge & Surf school in Figueira da Foz is the perfect choice for people (surfers and no-surfers) that love a welcoming place, choosing between a happy and fun socializing or just chill out. Here you may enjoy an extended set of activities where surfing is the main attraction. You will have an experienced surf guide that is ready to give you memorable holidays, surfing in a safe and fun way. Unforgettable surf holidays in a place where you will feel at home. 7 days Hotel & Surf school in Figueira da Foz is in an amazing place! During your 7 days Camp with Surf Logde & Surf school in Figueira da Foz you can count with delicious holidays. Portugal is well known for the gastronomy and we want you to keep that in mind… For the breakfast you will have a big table waiting for you… where you can choose between, fruits, cheeses, ham, scrambled eggs, bacon, fruit juices, cakes… well if you feel hungry just eat it all. At lunchtime don’t forget to pass by the pool, the Bar Saladicious will offer you healthy but also very tasty food. When the night comes it’s time for comfort food our Surf Lodge has a restaurant open every day for dinner where you can try the chef’s specialties which includes some Portuguese traditional dishes. Don’t forget to try the wood-fired oven roast of the day. You must also ask for our delicious and fun barbecues where you can cast fish an meat, drink and party… you can’t miss it!! PS: if you have any dietary requirements please tell us when you confirm the reservation, we will be pleased to provide you a special menu. 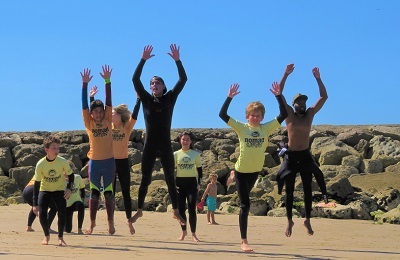 The 7 days Camp with Surf Logde & Surf school in Figueira da Foz aims to be more than a surf camp after your stay with us you will be a part of their “family”. The surf camp works seven days a week and arrival is accepted on any day. Depending on the waves conditions and on your surf level, every day they will try to combine lessons and free surf sessions that can go from one to two hours each, so you can learn and practice. It Offers surf lessons based on the participant’s skills. They have three customized programs: beginner, intermediate and advanced. If you have surfed before and you are not sure which level you fit in they will make an evaluation of your surfing skills and they will adjust your program. We offer lessons for kids aged between 6-12. We like parents to be close especially on younger ages. Parents will be amazed with their kids riding a wave. Safety and fun are our main priorities. Student ratio – depending on the children ages. To join Portugal On Water Surf School’s advanced surfing lessons, you need to feel comfortable on the water, know the priority rules, be able to catch unbroken waves on your own, and turn. A program made by you. From a private class with a specific program that feats to family sessions, from one spot to a surf trip in our region, we will be glad to please you. Talk with us in advance and we will try to feat your needs. Get a private instructor for any stage or program you need. If any day you don’t feel like surfing just chill and have fun at the Surf Logde & Surf school in Figueira da Foz … If you wanna take some time from the busy days book a massage or just stay in our quiet swimming pool it’s an amazing place. Otherwise, we have plenty activities at the surf lodge that you can explore… like stand up paddle, padel tennis and free use of mountain bike with GPS tracking and pool table. If the weather is good don’t forget to ask for our delicious and fun barbecues, you can’t miss it!! Figueira da Foz (15 minutes away): known as one of the most beautiful beaches in the country, Figueira da Foz is also one of the best places to get sea food and fresh fish in Portugal. You can check the glamorous Casino in the city centre, walk around in the seaside street or hiking in the mountain. Aveiro (45 minutes away) – It’s not Venice but it has it’s own charm… A city that is crossed by a river channel where you can book a trip on a colorful beautiful boat. Don’t miss the conventual pastry “Ovos Moles”… you will never forget it. Surf Lodge & Surf school Figueira da Foz is located between Oporto (120 km) and Lisbon (196 km). 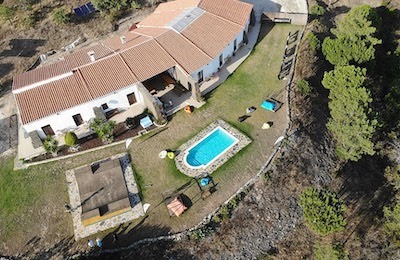 Built nearby the city Figueira da Foz, from an old farm, the property combines the tranquility of the countryside with the comfort of a modern hotel. 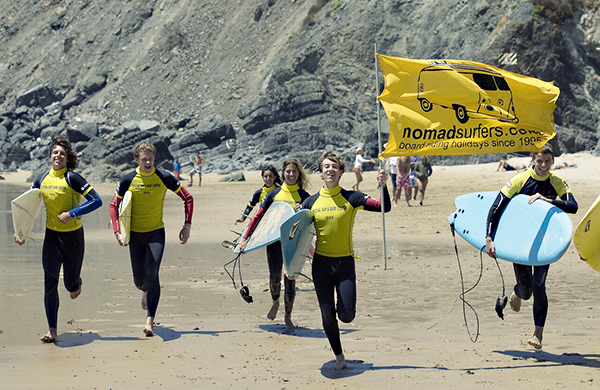 Just 10 minutes to the best surf coast of Europe. It’s kind of a secret paradise of surf in Portugal because works all year round for all levels and there are not so many crowds. This place still hold its natural beauty away from mass tourism. If you’ve never surfed here, you’ve been missing out… come and you will easily fall in love. Our main surf spot is Cabedelo Beach, but if the surf conditions aren’t the best there are many breaks to explore and the team can take you to another spot close by, such as Cova Gala, Buarcos, Murtinheira, Poço da Cruz, Barra or Costa Nova. Transfer from and to the airport is not included but we can provide if you wish (please ask for the price in the inquiry). You can get a bus to Coimbra from Porto or Lisbon. First you have to get to the train station. The cheapest way is to go by metro but of course you can also take a taxi. From Oporto you need to go to São Bento Station and the bus ticket will cost around € 12. From Lisbon you need to go to Oriente Station and the bus ticket will cost around € 15. Then in Coimbra someone from the Surf Lodge & Surf School Figueira da Foz will pick you up at the station. Don’t forget to send your arrival time to the Surf Lodge in advance! You can get a train to Coimbra or Alfarelos from Porto or Lisbon. From Oporto you need to go to Campanhã Station and the train ticket will cost from € 13,20. From Lisbon you need to go to Oriente Station and the train ticket will cost from € 17,20. You will get GPS coordenations as soon as you book. Shared Room 410 € n.a. n.a. n.a. Shared Room 460 € n.a. n.a. n.a. Christmas, New Year, Carnival, Easter and Special Holidays may be subject to extra fees. "So we booked a stay based on the great reviews and photos, yet the place still surprised us. On arrival it was much bigger than we expected really vast and almost terrifyingly stylish and super modern. Yet within this impressive space we were made to feel totally relaxed and welcome, as though it was our own home. (I don't say this lightly, as we are very much "you can't beat the comfort of your own bed" kind of people) :) Massive ticks for all the usual: cleanliness, comfort, food, etc etc etc... but above all, awesome hosts. What a special place! It feels like a separate world, one with its own rules based on kindness." Great hotel! Lots of fun! "The hotel seems completely new, nicely designed, very comfortable and very clean. There is a good restaurant and it also has a nice bar by the pool, there's a playroom, and many sports are offered by the staff. We've stayed for 3 nights and didn't want to leave! " "We had the honor to be invited to a wedding which took place at Maiorca Surf Hotel and our stay was a blast. Everything is tidy, the pool is splendid and the always friendly and attentive staff has definitely to win an award. They managed the unusual amount of guests highly professional and let everyone feel special and welcome." "Very beautiful location just outside Figueira da Foz. Everyone is super!!! nice, they knew our names just after one night. Very delicious food, great drinks, beautiful rooms! Thank you for such an amazing holiday!!!!! We will be back soon! "